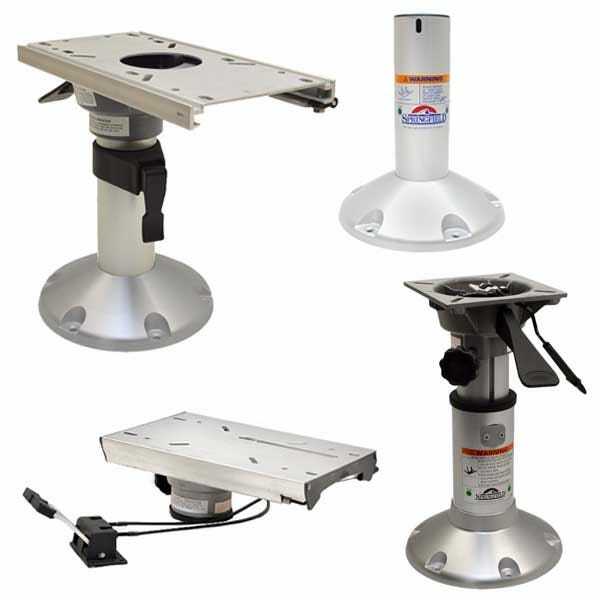 Save now on new boat seat pedestals and boat pedestal parts at Great Lakes Skipper. Among our thousands of discount boat parts are boat seat pedestal posts, seat swivels, seat slides, boat seat mounts, taper lock seat pedestals, spring lock boat seat pedestals, and all kinds of boat seat mount parts. We have seat pedestals from Springfield, Attwood, and Garelick, quality built to last. Find your favorite today!